Very glad they opted for one of the athletics logos and not one academic logo. That hat is too sweet! I may have to get another ticket for an extra hat. Hate our academic logo. Glad they used the athletics one. I do wish it was the curly W hat though. Good idea. They should work with Pharell to be the premier higher ed sponsor for the event. ODU logos all over, big blue joining onstage for a song, info booth, swag bag... I wish ODU had dorm space for undergrad aged attendees. Shame its not just a few weeks later. Since housing is short near the beach, it would be great to get those fest kids on campus, even just as a place to stay for the weekend and get familiar with ODU. Since VB is being stingy with its busses, ODU should lend its ODU branded shuttle to the cause. All those people seeing ODU would be great. A roving billboard for 25,000+ people and associated with a cool brand. Worth every penny. (04-05-2019 04:23 PM)VB Monarch Wrote: whats a SPLASH? Quote: Do you have a start-up, social enterprise or an innovative idea that could be the “next big thing”? SPLASH! is an opportunity for the most creative and innovative students to pitch a start-up, social enterprise, or innovative ideas. The competition is open to both undergraduate and graduate student entrepreneurs currently enrolled in any community college, college or university in the Commonwealth of Virginia. Students can apply as individuals or as a team for a chance to win one of three category awards Biggest Social Impact, Boldest Emerging Technology Application, and Best Female Founder, and $2,500 each in startup funding provided by Cox Communications. Awesome idea - especially since I’m sure ODU students will be attending. Tremendous marketing opportunity. Did I miss anything in the writeup that highlighted growth in academic programs, admission standards, or improvements academic rankings ? They literally highlight why you shouldn't be focused only on admission standards. And the only time we've ever been ranked by US News has been under Pres. Broderick. So I'm not sure what the complaint is there. 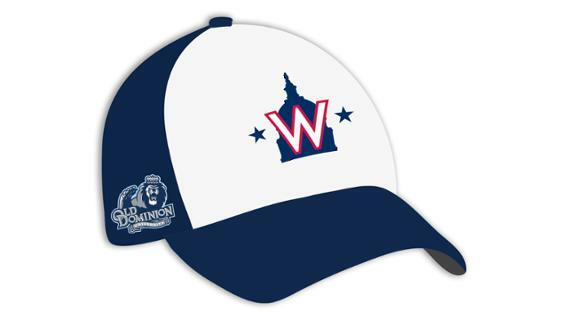 These were similar to the Nats spring training hats, which I thought were cool, but didn't want to buy one b/c I didn't attend ST. So I'm pretty pumped to get this one. Just bummed they aren't fitted (understandably).